WILDER, Idaho (AP) — Ivanka Trump, President Donald Trump’s daughter and White House adviser, and Apple CEO Tim Cook visited a heavily Hispanic Idaho school district Tuesday to trumpet her workforce development initiative promoting science, technology, engineering and math, White House officials said. Apple in 2016 donated iPads to all students and teachers in the low income school district in the small city of Wilder as part of a program to help students lacking access to technology. School officials said that the visit would showcase how the district has combined learning and technology. 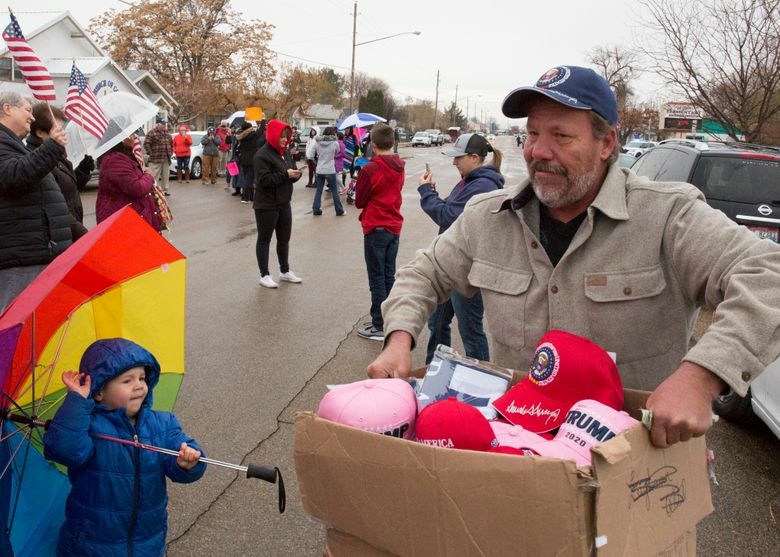 But as a small group of Trump supporters and opponents demonstrated outside the elementary school toured by Ivanka Trump and Cook, several students from the high school next door walked out of class in protest. The protesters decried President Trump’s immigration policies, Ivanka Trump’s use of a private email account for government business and limited school funding, but the students were mainly there for one reason: They don’t like the way the district is using the new technology. They said the iPads offer self-guided lessons that give them no interaction with teachers except to unlock quizzes and advance to the next learning sections. “We’re really known because we have the iPads, but we’re ranked one of the lowest academically in what we learn,” said 16-year-old Adriana Rodriguez. She said the school is much like a homeschool program, where students can pick what classroom to sit in and spend the day on the iPads. Interaction with teachers is primarily to ask them to unlock a quiz or a test on the iPad when the student feels ready to pass the lesson, she said. 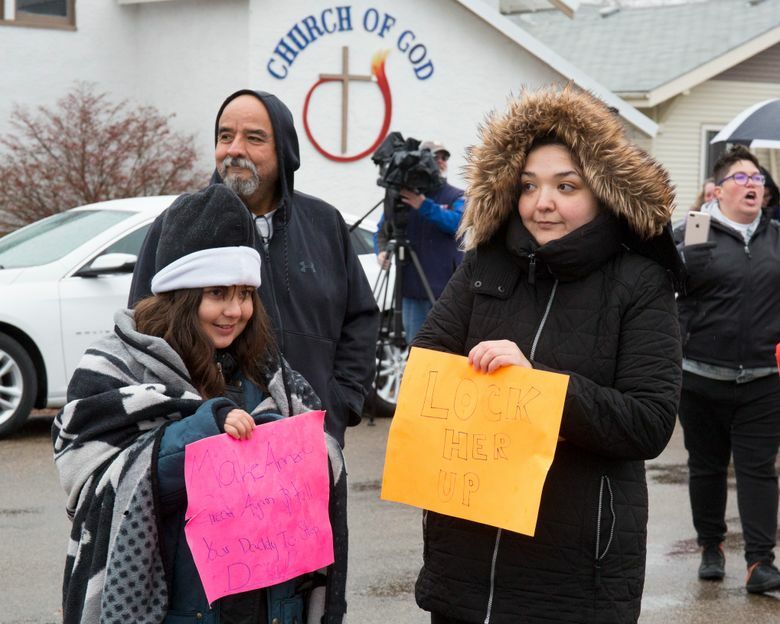 Fifteen-year-old Alex Martinez also walked out of the high school in protest. He said some students simply cheat on their tests, copying and pasting the questions onto websites that list the answers. District Superintedent Jeff Dillon said the student’s claims didn’t show the whole picture, however. He said students had the option of choosing the iPad-based online curriculum pathway, or they could work with teachers to have more hands-on lessons and projects. Dillon said the students who protested wouldn’t face any disciplinary action for walking out of classes. Instead, he hoped they would put what they learned by protesting the visit to use in their government, history or English classes. Some parents of younger students said the iPad program has been a success. Lydia Salgado is raising her first-grade grandson. She said he’s had problems with reading and math in kindergarten, and qualified for a formal individualized learning plan through a special education program. But, Salgado said, now that he’s allowed more time on the iPad as a first grader, his skills have been soaring. “He knows how to do his plusses and stuff, he knows how to do his reading work. He’s excited because he’s doing really good and going up in levels,” she said. The district is one of southwestern Idaho’s poorest, and was one of 114 low-income schools in 29 states that Apple helped with iPad donations. Virtually all of the city’s elementary students meet low income guidelines to receive free or reduced cost lunches and a majority of the district’s students are Hispanic. Earlier this year, the school district received national recognition from the School Superintendents Association for being one of the most innovated school systems in the country. Many of the roughly 30 protesters also used the visit by Ivanka Trump to demonstrate against her father’s immigration policies. Trump has deployed thousands of troops to the Mexican border, saying a caravan of migrants is a threat to U.S. national security, intent on exploiting America’s asylum law. He has also threatened to challenge the constitutionally protected right to birthright citizenship. “When babies at the border are under attack, what do we do?” protester Estefania Mondragon asked a crowd of about 30 people. 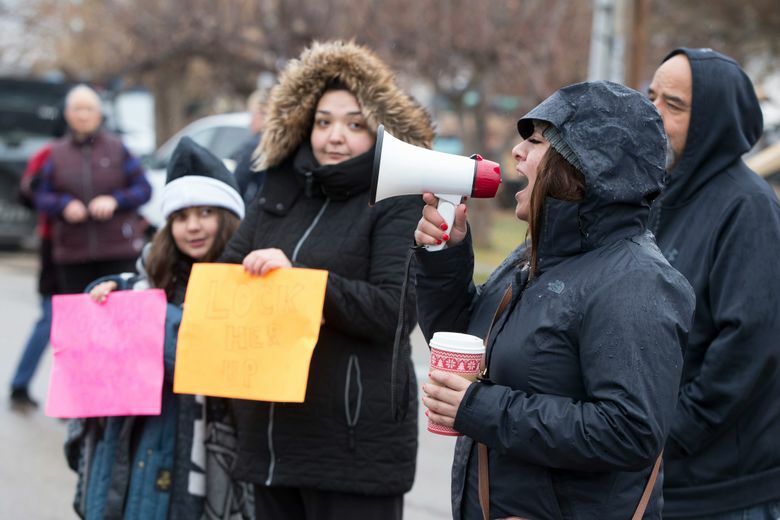 Crystal Solas from the neighboring city of Nampa brought her 10-year-old daughter, Jennavee Crabtree, to Wilder to protest. Solas was motivated by recent news that Ivanka Trump sent hundreds of government business emails from a personal email account last year. Meanwhile, seeing footage of U.S. border agents using tear gas at the Mexican border to repel a crowd of migrants that included angry rock-throwers but also very young children and families left her daughter distraught, said Solas. “Make America great again and tell your daddy to step down,” read Jennavee’s sign. “It’s bad to put gassing in Mexico,” said Jennavee in a quiet voice. Ivanka Trump said she’s visited 20 states across the country as part of her efforts in workforce development and STEM initiatives.